John Wagner, Pat Mills, Carlos Ezquerra, Brian Bolland and many others. For almost thirty years one man has dominated the British comic scene. He is judge, jury and executioner, a merciless far-future lawman delivering justice with an iron fist on the mean streets of Mega-City One. He is Judge Dredd! 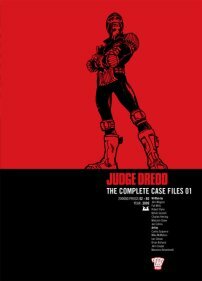 Now you can re-discover the roots of this legendary character in this vast and Thrill-packed series of graphic novels collecting together all of Dredd¹s adventures in chronological order, complete and uncut! 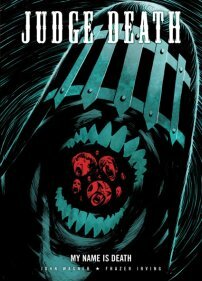 Judge Death, a twisted alien being from a dimension where all life is crime, has escaped from a Mega-City One containment facility and headed out into the radioactive hell of the Cursed Earth. Here his path of destruction continues as he searches for the means to destroy all humanity. This macabre road trip takes Death through the twisted remains of Las Vegas, teams him up with two cold-blooded serial killers, and shows him that the true path to annihilation lies deep below the desert sands. This blackly comic story is written by John Wagner (Judge Dredd, A History of Violence) and illustrated by Frazer Irving (Klarion the Witchboy, Hellblazer). The streets are alive with the sound of robots in this latest collection of classic Robo-Hunter cases. National Song Year has been declared in Brit-Cit and Sam Slade is facing musical lunacy on every side. The Human League has declared death to all robots and the robo-Prime Minister Iron Aggie has hired Slade to infiltrate their gang. 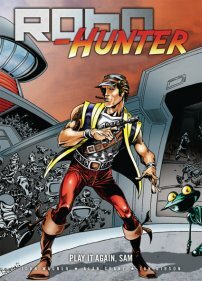 Slade finds himself at the centre of a vast and deadly conspiracy that even he may not be able to sing his way out of!